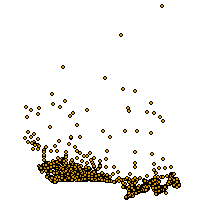 This dataset includes the locations of all 1480 stations with climate normals in Canada, that were active from 1971 to 2000. 496 of these stations meet the United Nation's World Meteorological Organization WMO standards. This information was acquired from Environment Canada’s National Climate Data and Information Archive, and provided by the Data Resource Centre, University of Guelph Library. To provide the locations of weather station in Canada from 1971-2000.